This limited edition artist's portfolio and book was designed and produced by Lumino Editions in collaboration with the artist Mary Heebner. 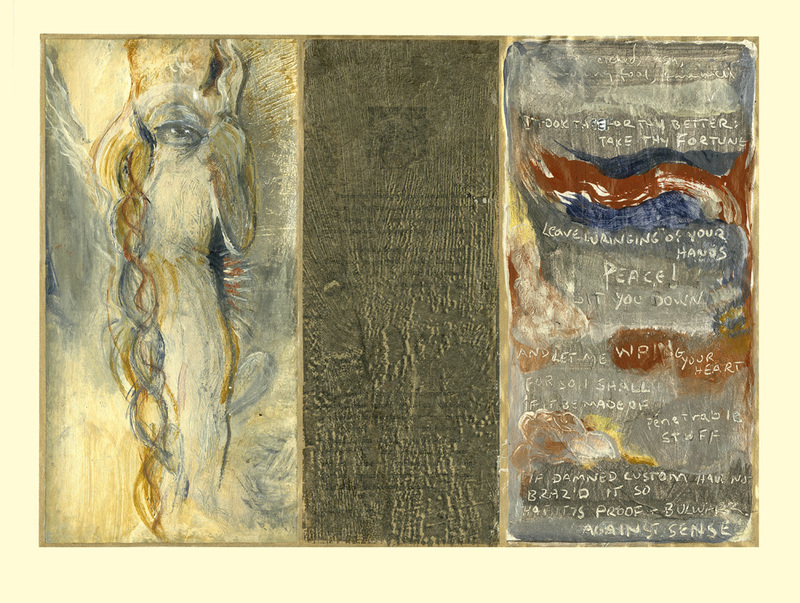 The work was created to exhibit the artist's response to the seminal play by William Shakespeare. 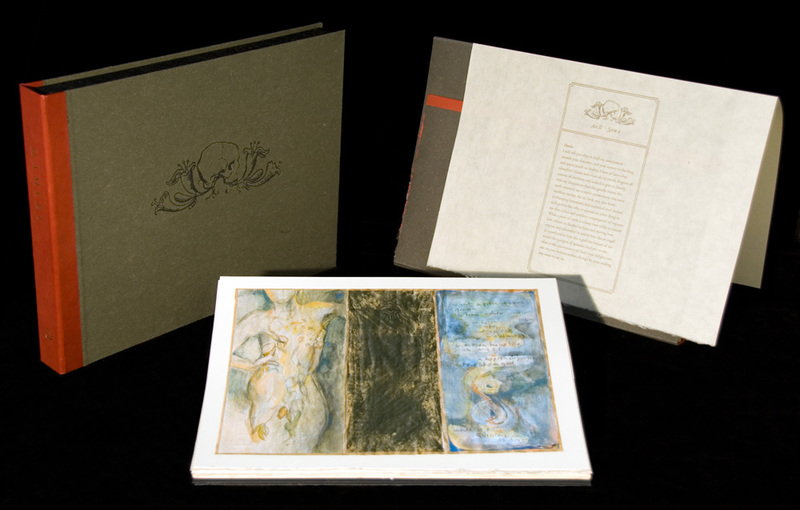 The project features a handmade clamshell box which houses a collection of giclee prints each signed and numbered by the artist. The box has a red leather spine with title stamped in 22kt gold foil and is covered with dark grey handmade flax paper from Cave Papers of Minnesota; a motif adapted by the artist from the Second Quarto frontispiece is printed in deep deboss on the front. Each print is presented in a folder of archival Japanese paper with an excerpt from a scene in Hamlet that relates to the image printed letterpress on the front. The project also includes the complete text of the play in a separate book which is printed letterpress and handbound with in the "Elizabethan stab binding" method. 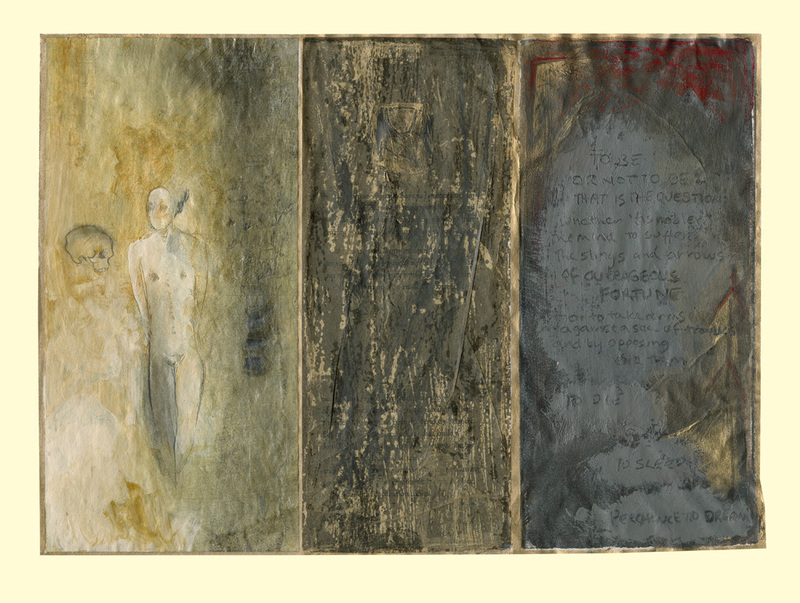 The covers are handmade Amate, with Hamlet printed in deep deboss on front.